50 States, 49 Years and 308,486+ Feet: Here’s What I Learned. Atop the crater rim of Mauna Kea on the Big Island of Hawaii, we floated on a sea of clouds that stretched to the horizon in every direction. Somewhere beneath the clouds were the lush rain forests of the Hilo side to the east and the scorched lava fields on the Kona side to the west. Above us was the infinite cobalt sky that makes Mauna Kea the site of so many world-renowned observatories. Here we were in Hawaii, shivering in our hooded parkas. I had come to Hawaii with my wife, Jane, for this moment: Mauna Kea was the final step in my quest to reach the highest summit in each of the 50 states. I say “summit” with charity. Along the way, I had taken easy drives to the parking lots for high points like Cheaha Mountain in Alabama, and Taum Sauk, Missouri. Other peaks, like Denali in Alaska and Rainier in Washington, took a bit more planning, skill and grit. The urge to explore all 50 states comes in many strains. Some people run 50 different state marathons or visit the state capitol buildings. Some ride roller coasters in every amusement park or visit every major league baseball stadium. We cultivate checklists and chronicle our progress. What is this 50-state quest all about? Why can’t we just travel for its own sake, without keeping score? For peak baggers like me, it’s partly the physical challenge of climbing high mountains that drives us. But if that were the only goal, we could home in on the Cascades, Sierras, or Rockies. Maybe we’re just answering the urge to collect – but coins, baseball cards, or pottery sure would be easier. I am convinced that this purpose-driven travel feeds an innate inquisitiveness. It’s a stew of desires, thickened with obsession and compulsiveness. We’re on the road, and we love it. I was 61 years old when I began this journey in earnest. I knew some difficult mountains lay in my path. Big Western peaks like Gannett in Wyoming, Granite in Montana and Borah in Idaho would require high altitude conditioning and technical mountaineering expertise. Half a dozen high points, from the Dakotas southward through Nebraska, Kansas, Oklahoma and Texas, follow a meandering 1,200-mile axis through vast, open prairies and ranges. The hours of travel from one peak to the next set the mind free. I was not starting with a blank slate. Years earlier, I had climbed three or four major peaks without really thinking about them as state high points. My pilgrimage began imperceptibly, with a summer job in the concession stand at Mount Mitchell State Park, North Carolina, in 1970. I was a skinny, 17-year-old surf rat, bored by the beach town where I had grown up and itching for anything new. My post was less than 200 yards from the 6,684-foot summit, the highest point east of the Mississippi. I wore a uniform and a clip-on polyester tie. I spent my days dispensing coffee to the shivering tourists, posing as a naturalist and answering their myriad questions. As with many major peaks, Mount Mitchell weather is capricious. There were days when we could see the horizon a hundred miles distant. On other days, we were smothered in clouds, and no one made the steep drive up from the Blue Ridge Parkway to visit us. I sat on the grey metal heater behind the counter, drinking cocoa and working through the reading list recommended by Davidson College for incoming freshmen. And after that summer, I gravitated toward mountains. In August 1980, I camped in Denali National Park while awaiting my bar exam results. Around midnight, the clouds evaporated, and Denali, luminous beneath a full moon, dominated the horizon 30 miles away. I decided to return some day and climb that peak – at 20,640 feet, the highest summit in North America. With a friend, Dickson Phillips, I spent three years learning mountaineering and winter climbing skills. Together we returned to Alaska in 1986 and spent 20 days climbing Denali. Our progress toward the summit was interrupted by days of gale-force winds and white-outs, where we had no choice but to hunker into our snow cave. With temperatures plunging to minus 20, we melted snow on our gas stoves for cooking and drinking. We slept with water bottles in our sleeping bags to keep them from freezing. Stepping out of a snow cave under those conditions to answer nature’s call was not an option, so we slept with certain other bottles, marked with an X, to keep them from freezing until their contents could be disposed of properly. Among our bottles was a liter of scotch that Dickson and I had saved for the upper elevations. We judiciously rationed it through the toughest, coldest nights near the summit. “Another day,” Dickson would say as he lifted his plastic cup in a toast. “And another tomorrow,” I’d reply. Then we would wriggle deeper into our sleeping bags, talking casually about little or nothing, and then not talking, until the scotch was gone and we drifted into sleep. Frostbite was a danger, as was sunburn. We wore sunscreen, protective gloves and masks. Still, the insides of our nostrils were burned by UV rays reflecting off the snow. Our work, pains and patience were rewarded when we crawled out of our snow cave at 17,200 feet at 3 a.m. one morning and found clear skies for the final 2,800-foot push to the summit. It was the most difficult climb I had ever accomplished. Summiting Denali made us cocky. The following summer, Dickson and I decided to climb Rainier, the ancient volcanic cone that defines the western Washington skyline. This would be an easy walk-up, we thought. Arriving in Seattle, with another friend, we shopped for provisions at Pike Place Market. We loaded our packs with fresh pasta, garlic and vegetables for a marinara sauce. We added bread and a bottle of wine. Camping at the Muir base camp at 10,000 feet, we prepared our dinner, feeling smug in the company of other climbing parties eating austere, freeze-dried meals. The goal in climbing Rainier is to reach the summit early and be well on your way down the mountain before the sun rises and softens the snow, which makes alpine travel slushy and treacherous. This requires an “alpine start,” leaving base camp at 2 or 3 a.m., using headlamps to navigate the icy ascent. We struggled out of our tent, rank with garlic. Our faces were stung by high winds and horizontal sleet. Clearly, we needed to remain at base camp and hope for better weather the next morning. But we had eaten all of our food the night before. We foolishly decided to climb, but after half an hour of trying to find our way under such treacherous conditions, we were forced to descend. We were humiliated. We returned another day to reach the summit, this time with more respect for the mountain. Rainier was my last big climb for decades. Then, on a balmy summer evening in 2013, Jane and I were enjoying a casual dinner party in Chautauqua. A word I had never heard, “highpointing,” rolled from the mouth of a friend. I had never heard or imagined such a thing: Reaching the highest point in all 50 states. The conversation moved to other topics, but it was lost on me. I was captivated. I began studying maps. I was surprised to learn there is even a Highpointers’ Club, with almost 2,500 members. I was not alone. Highpointing wasn’t just an odd quirk, but a credible project. I began planning mine. Highpointers often develop itineraries that allow them to visit as many states as possible in a contiguous area. We spend hours poring over maps and puzzling out ways to connect the dots. In the spring of 2014, I flew to Milwaukee to begin a five-state circle that I called the Great Midwestern Pie-grimage. In addition to visiting these states’ high points, I would make at least one stop for pie in each state along the way. Driving west through rich Iowa farmland and listening to We Wanted to be Writers about the famous University of Iowa Writers’ Project, I found a pie lover’s heaven. Every small town had its coffee shop, burger stop or diner with pie. I found blueberry, cherry, apple and rhubarb pies, served warm with rich, flaky crusts. There were endless varieties of cold chocolate and crème pies, and adding a scoop of ice cream always was an option. As I sat at the counter in one small diner, a large man on the stool next to me remarked, “We’re pretty well-nourished around here.” Indeed. I would be morbidly well-nourished if I lived in Iowa or the upper Midwest. But I collected all five states. Now I had momentum, with 27 states remaining. I planned similar trips to visit the rest of the eastern states. In a week in August, I made a counter-clockwise trip through New England that included Mt. Katahdin in Maine and Mt. Washington in New Hampshire. By adding extra time to business trips here and there, I gradually filled out the map. The big Western states took more effort. Some veteran highpointers claim the toughest summit on the list is Granite Peak, in Montana, rather than Denali. Granite Peak is in the Beartooth range, about two hours east of Bozeman. A typical climb to the 12,799-foor summit takes three or four days, beginning with a 9-mile climb along verdant national forest trails to the aptly named Froze-to-Death Plateau, well above the tree line at about 10,000 feet. The plateau is home to mountain goats. They keep a wary distance from climbers, but they are drawn by the prospect of nourishment offered by human contact. The real climbing begins at the Froze-to-Death base camp. Depending on the season and weather, climbers typically work their way up through rock, snow and ice to about 12,000 feet, where they scale almost-vertical rock faces. Knowing the difficulty of this route, I had enlisted Sam Magro, a gifted rock and ice climber who has spent years climbing and exploring western Montana, as a guide. We left our base camp around 5 a.m. for our seven-hour climb to the summit. We reached the summit around noon, exchanged high-fives and settled in for a hard-earned lunch. While we were euphoric and resting contentedly on the summit, Sam became concerned by dark banks of clouds forming on the western horizon. Afternoon electrical storms pose a serious danger to climbers on Western peaks, and Sam did not want us to get caught in such an exposed, high spot. We were human lightning rods. We began a hurried descent, rappelling down the rock faces, racing to beat the storm. Before I recognized it, I became dehydrated. My hands, arms and legs were shaking, and I had difficulty controlling my grip on the rock faces as we descended. Farther down the mountain, I found myself tripping and stumbling across the boulder and scree fields. With the storm still approaching, my pace was reduced to a shamble, and we barely made it back to our tents before the skies opened up with rain and sleet. I have climbed dozens of peaks solo, but on this trip I was fortunate to be with Sam. Camaraderie enhanced my adventures. An essential part of highpointing is the thousands of miles and days of driving from one peak to the next. The scenery along the way, the towns you pass through, and the people you meet make the journey enjoyable, and having good company can make it all the better. At the Las Vegas airport in July 2015, I joined two long-time friends for stops in Arizona, Nevada and California. Jerry and Mark are thoughtful, inquisitive and gregarious – easy company on difficult climbs. After a week in their delightful company, I continued alone to Kings Peak in Utah and Borah Peak in Idaho, my 48th and 49th summits. My only remaining peak was Mauna Kea, Hawaii. I had saved that for the end, to enjoy with Jane. I had wondered what it would feel like to reach the final summit. In Hawaii, on the long road back to sea level from Mauna Kea, I kept thinking about the large color maps of the United States dominating the walls of my elementary school classrooms. All states were equal on those maps, brightly colored and calling out to be explored. As I grew older, most of the territory on those maps faded to grey. They were fly-over expanses, overlooked as I hurried from one coastal mecca to the next. Occasionally I wondered: What’s down there? I know, now. Highpointing returned the splendid color to the maps in my memory, and to how I see these United States. This story first appeared in the Charlotte Observer. Reprinted with permission. Edward G. “Woody” Connette practices with Essex Richards, P.A. in Charlotte. He has over thirty years of experience in personal injury and class action litigation. 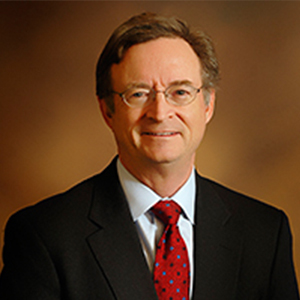 Woody has been recognized as one of the NC Legal Elite, the Best Lawyers in America, and NC Super Lawyers. Woody is a Lawyers Mutual insured and member of the inaugural class of Lawyers Mutual’s Charlotte Area Community Board.